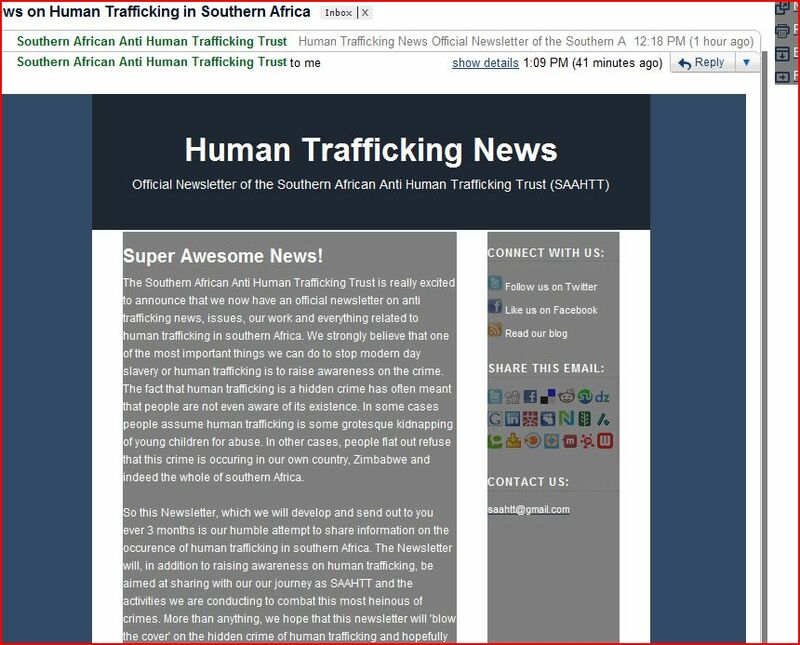 September | 2010 | Stop Human Trafficking in Southern Africa! 1 September 2010 – The United Nations Global Plan of Action to Combat Trafficking in Persons was adopted by the General Assembly on 30 July to urge Governments worldwide to take coordinated and consistent measures to try to defeat the scourge. The Plan calls for integrating the fight against human trafficking into the United Nations’ broader programmes to boost development and strengthen security around the world. Secretary-General Ban Ki-moon said that the Plan of Action should serve as “a clarion call” to Member States, international organizations and civil society groups of the need to take immediate steps “to stop this terrible crime against human dignity, which shames us all”. The Plan of Action – which focuses on preventing trafficking, prosecuting offenders and protecting victims – also stresses the importance of obtaining more research, data and analysis about the problem. “Within the United Nations system, my appreciation goes to UN.GIFT, the Vienna Forum, the Blue Heart Campaign and our goodwill ambassadors. UNODC’s Global Report on Human Trafficking, anti-trafficking toolkits and manuals, documentary films, public information and technical assistance have also played a part to build consensus. I thank all those involved for their commitment and hard work”, he said. In his address, General Assembly President Ali Treki emphasized the human rights aspects of the fight against trafficking. “Abduction, coercion, trafficking across national and international borders, forcing women and children into sexual exploitation and servitude – this must not be accepted in today’s world,” he said.